Many people always ask themselves: “Is it a better option to own your home instead of renting”. The answer can be different for each person and situation. In general, owning a home can be better if you are staying in that area, because you in most cases will be building equity while enjoying living in the property and if you are happy where you live, it makes sense to own and take advantage of the tax benefits while paying the setup costs over a longer period. In general property value increases over time but also fluctuates. When living in the same property for a longer period of years, you are most likely to see your home value increase and your property will then have equity build up. Over time, with a fully amortizing loan, when paying down on the principle, your mortgage loan will become less until you completely pay of your loan. You will then truly own your home. When renting, you may enjoy the flexibility and lower preliminary costs, but landlords have the right with each renewal of the contract to no longer rent you the property or, which is very standard, increase your rent gradually. You can have other limitations when renting such as hanging fixtures or painting walls or making other changes to the look of the home. When you own, you have more control of these aspects. Owning a home comes with responsibilities of having to take care of it, but it is truly your own where you have full control of what it offers and how your house is maintained and looks like. For maintenance and repairs the landlord is responsible and should pay for any cost related to wear and tear. As renter, you will have less control over how your place looks like. By owning your home your opportunity is to over time build up equity which can become available once you sell the house for more money than originally paid and reinvest into a new property. In general, when renting as a tenant you will have lower monthly costs, but you will not build up any equity and when renewing your rental agreement, over time rent increases can occur. 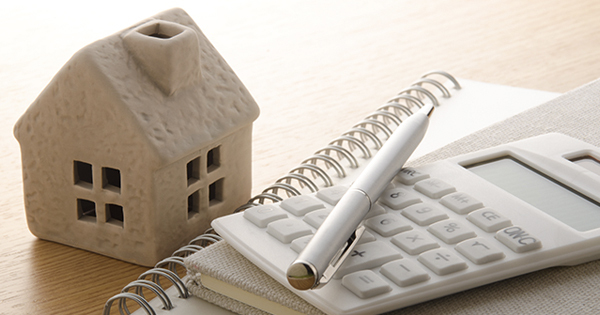 When owning a home, you could take advantage of certain income tax benefits. You should discuss this benefit with your tax consultant to best understand the implications based on your income. With paying a monthly rent, there are no real tax benefits. The initial closing costs of owning are not there compared to renting. Such as a down payment on the owned property usually exceeds the amount of a deposit when renting a property. When looking to own a home, next to the down payment, there are multiple setup costs which only over time will indirectly become less impactful on the overall mortgage balance as you remain living in the property. You would want to live there for several years before moving or refinancing to avoid losing this investment. When renting a home, you are most likely to need only to deposit 1 or a maximum of 2 months’ rent, which when leaving the property in the best original state, you should be able to receive back. A landlord however may need to take funds form the deposit in case of serious property damage. When buying to own, and live in a property, is most likely also decided on the fact that you are looking to remain in that area, either for work, schools or other reasons. It makes you less flexible if any of your living needs change and these require you to move to a new area. When renting you are most flexible to relocate to a new area or property within the shortest time frame. Even if you have an existing lease, which usually renews every year, working with your land lord could allow you to leave the property sooner.